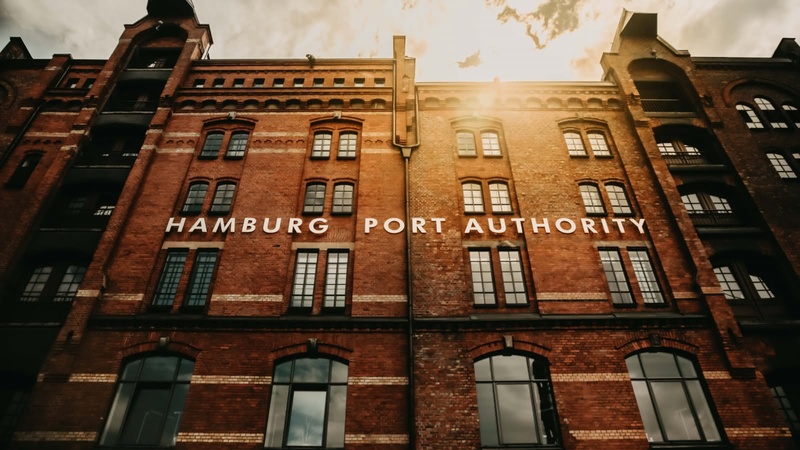 Hamburg is not only famous for its bustling harbor, but also for the beautiful old warehouses that surround the port. 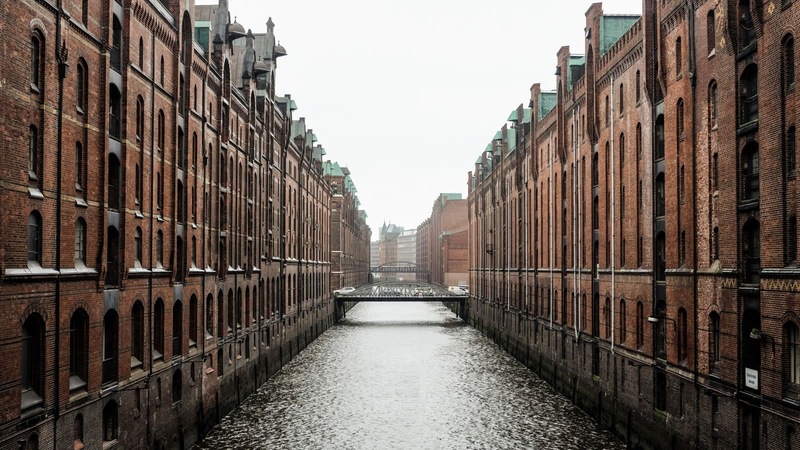 Known in German as the Speicherstadt, this warehouse district – the largest in the world – is now a UNESCO World Heritage Site, and a must-see site for those visiting Hamburg. 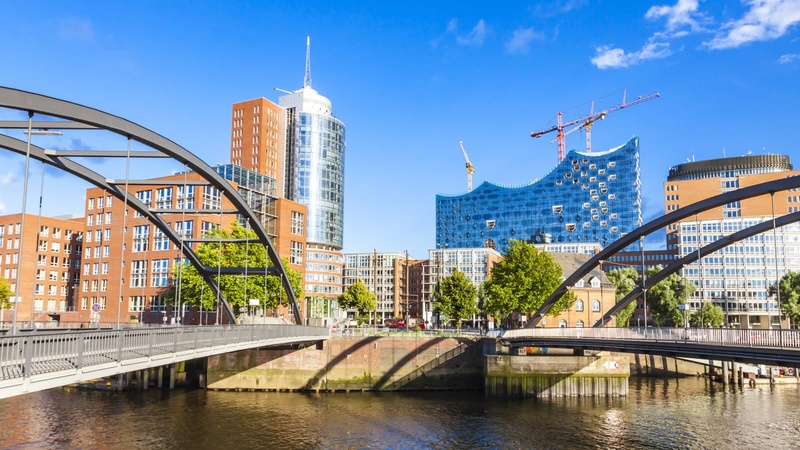 This 2-hour Speicherstadt walking tour also crosses the water over to HafenCity to get the best views of the Elbphilharmonie, Hamburg’s great concert hall. 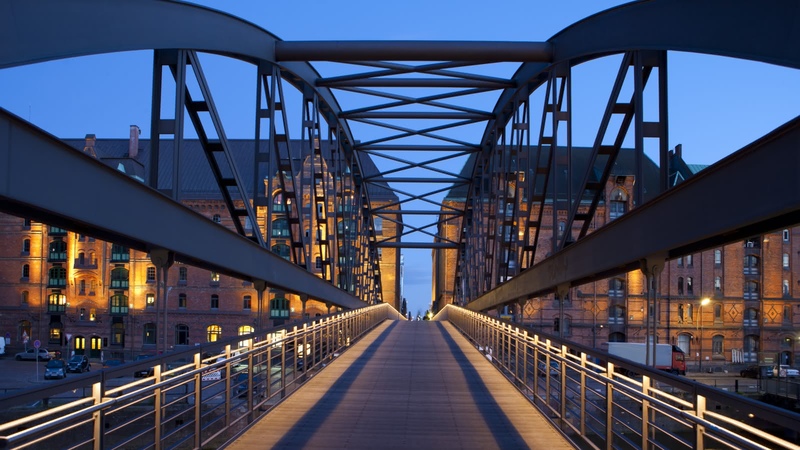 Your Speicherstadt & HafenCity Walking Tour starts at the Town Hall Square (Rathausmarkt) and finishes in HafenCity. Keep your cameras at the ready, and join us as we explore both the old and new in this picture-perfect area of Hamburg! Initially built as a free zone to transfer goods without paying customs, today the warehouses are still filled with traders of carpets, cocoa, coffee, tea, spices and maritime equipment. 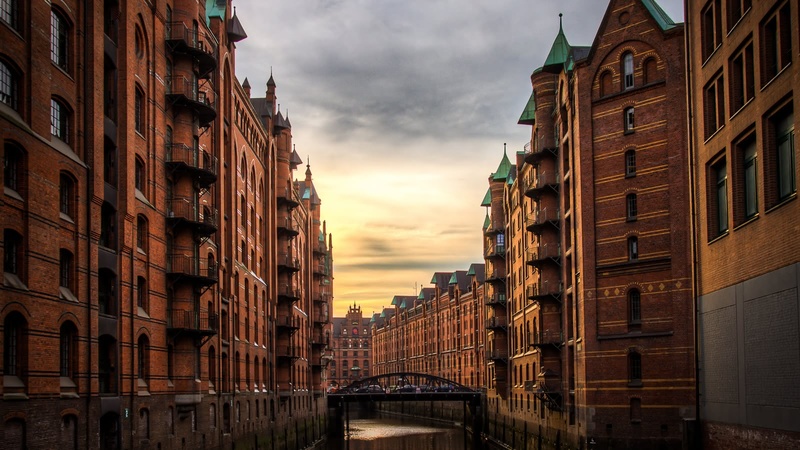 As we journey through the Speicherstadt, you’ll hear the fascinating history and architecture of the area, including the devastation it experienced during the WWII bombings, and the life breathed back into it as the current tenants moved in. 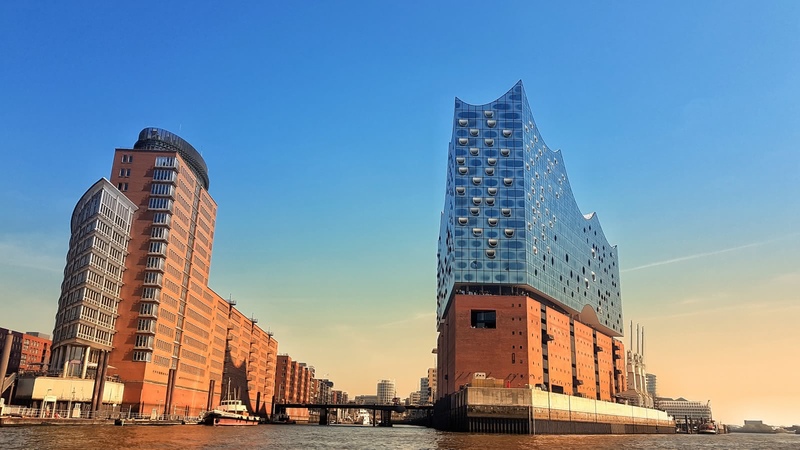 We will then make our way across the water, passing by the quirky Wasserschloss building that is perched between two canals, before we reach the more modern HafenCity area, home to the most acoustically advanced concert hall in the world – the Elbphilharmonie. 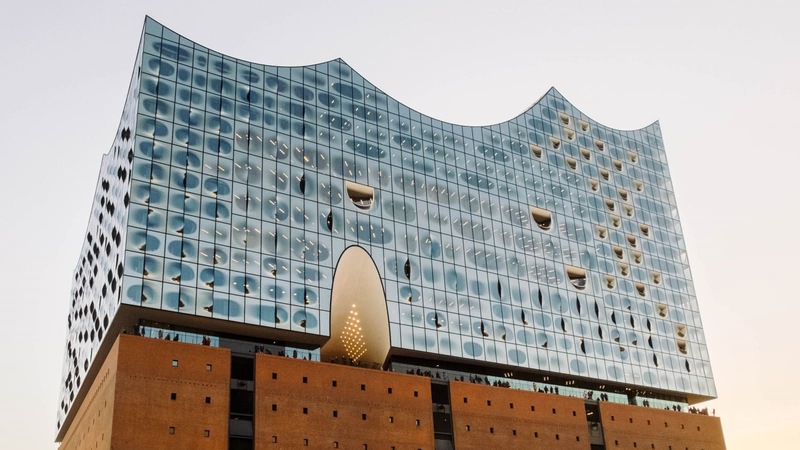 The Elbphilharmonie is quite a sight to behold – the sail of the concert hall sits on top of an old warehouse building along the Elbe River. Taking three times as long to build as originally planned, and costing nearly half a billion Euros, this controversial building will blow you away with its acoustics, technology and architectural detail. What a great tour! So interesting and informative. Our tour guide Sabina was excellent. Well worth the €12 for her knowledge and enthusiasm. We participated in the tour and highly recommend it! Thank you to our tour guide for making our tour highly entertaining and educational! 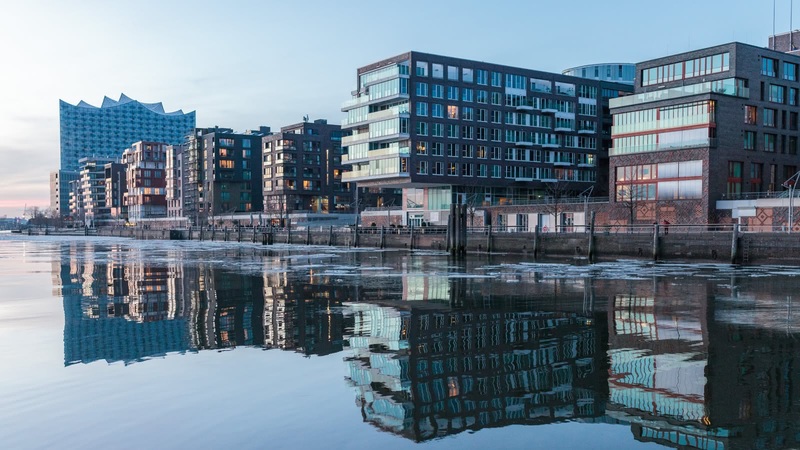 Where the famous FREE Tour gives you a good overview of the city, the themed select tours give you a more in-depth look at some of the most fascinating periods or neighbourhoods of Hamburg. 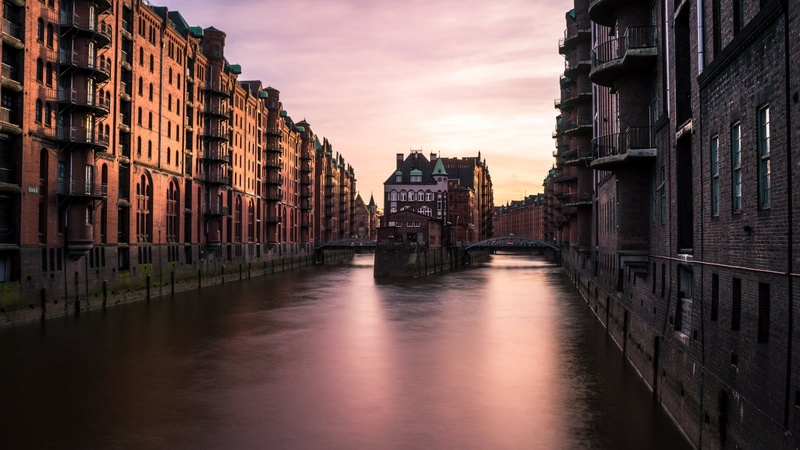 We believe in supporting local communities and are committed to giving a voice to some of Hamburg's best local freelance tour guides, who passionately share the city's history and culture with their own unique and always-entertaining style.